Our Atlantic Mile builder is designed primarily for the budding RYA Yachtmasters and those wishing to experience longer passages at sea. This extended adventure gives you the opportunity to sail westwards through the infamous Straits of Gibraltar and along the Atlantic coasts of Spain and Portugal. Along the way you'll pass the haunting scene of the infamous Battle of Trafalgar where Nelson met his Nemesis! The historic cities of Cadiz and Seville are also regular stopping points on our Atlantic Mile builder. During this 10 day adventure on board one of our larger, faster yachts you'll become familiar with customs formalities and mooring procedures typical to the Mediterranean and southern Europe. The voyage will take you along the rugged west coast of Atlantic Spain and across to the Algarve and western Portugal. We aim to include at least 2 overnight passages in excess of 60 miles for the budding Yachtmaster's and thrill seekers! As the yacht will be at sea for quite lengthy periods you will get a true feel of being 'on passage' so not only will you learn about the navigation in the tempestuous waters around Cape Trafalgar but you will learn about watch systems, crew management and how to maintain a safe,healthy boat at sea. Weather permitting, you can expect to gain around 400 Nautical miles (Tidal) and a whole bunch of night hours. 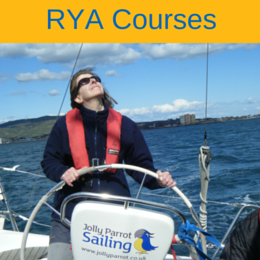 These coupled with several 60 mile (minimum) passages are ideal for your progression on to the prestigious RYA Yachtmaster qualification. There is no doubt that after completing this event you will be able to hold your head up high and claim to be a really useful person on board a yacht delivery or on passage. You will also be well on your way to becoming a Skipper in your own right! 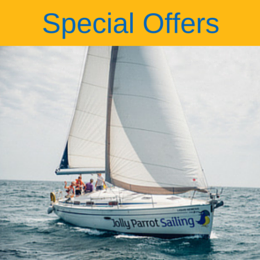 RYA Competent Crew or equivalent experience on board a yacht or power vessel. Anticipated ports include Barbate, Chipiona, Cadiz, Rota and Sancti Petri and weather depending, any port on the Algarve. Following on from this event you may want to attend one of our infamous Sailing Masterclass or possibly try your hand at racing on our Round The Island 2018 event.